There are many ways to use wearable tech other than for fitness and sleep tracking, telling time, and functioning as a companion to your smartphone. 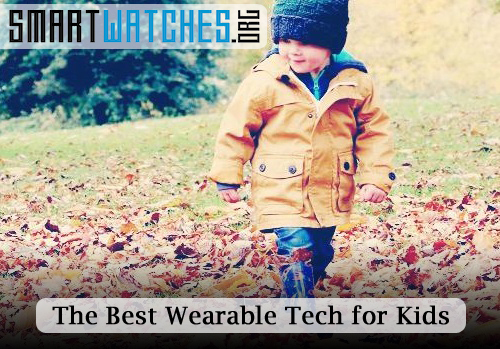 For instance, would you consider purchasing wearable tech for kids that is designed to stimulate their minds and augment their personal playtime? Despite the fact that a lot of folks seem to feel wearable tech is nothing but a passing fad, it’s become clear that it’s remarkably useful in the practical world too. Just take a look at some of the real-world uses for wearable tech. These devices can save lives if they are used appropriately put into the right hands. But there are other uses for this technology, as well. 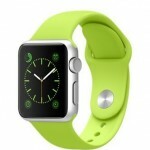 Wearable tech also has the potential to be popular in the entertainment world. Just take a look at some of the things happening with virtual reality or VR headsets, like the Playstation VR and Oculus Rift. Heck, Samsung is planning to open a VR production studio for movies, as part of a partnership with the Sundance festival. There are certainly some interesting things that are going to come out of that side of the market. Aside from all that, there are some more fun and playful opportunities for wearable tech too. 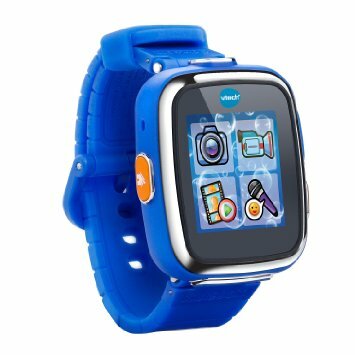 Have your children ever asked for their own smartwatch? What about toys that can truly make them feel like a superhero or an augmented reality (AR) app that lets them merge fantasy and fiction during playtime? Enough with all that nonsense about wearable tech and VR, let’s take a look at some awesome wearable tech for kids. That’s why you’re here anyway, right? Besides, adults aren’t the only ones that get to use such innovative gadgets. Speaking of how awesome VR headsets are, it sure would be great to strap your kids into one and let them play. Unfortunately, VR tech doesn’t go cheap and kids aren’t exactly known for taking care of expensive things. That’s where the Mattel View-Master VR comes into play. Right at the top of the list of the best wearable tech for kids, the View-Master VR is modeled after the old-school View-Master toys. You remember them, right? They use paper discs to show cool images in the viewfinder. 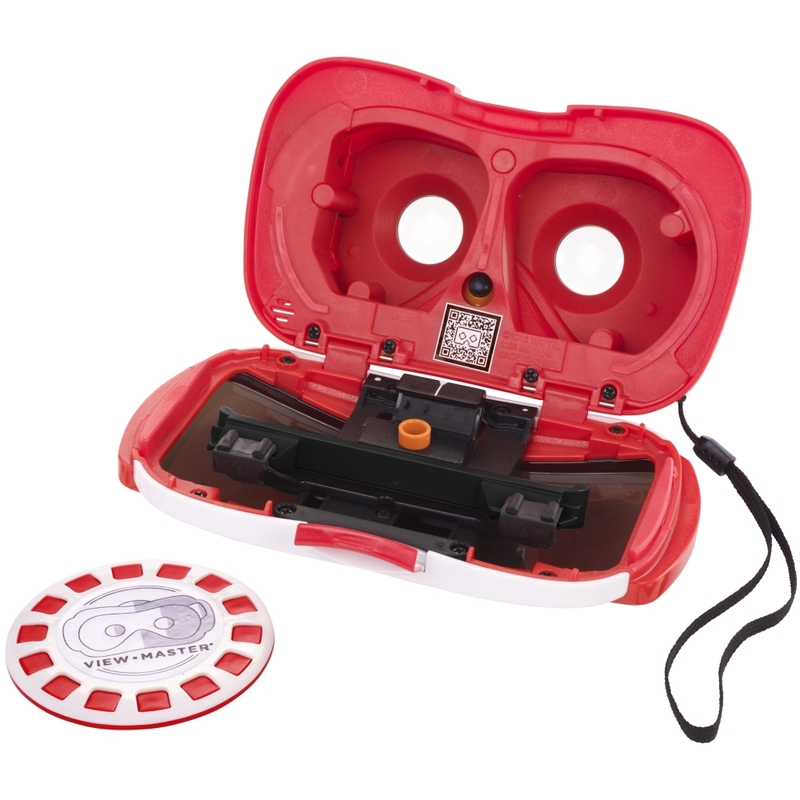 The Mattel View-Master VR is a kid-friendly headset that uses Google Cardboard and “reels” to show children amazing imagery. Compatible reels include wildlife videos from National Geographic displayed in 360 degrees, and various space shuttle and space animations. If you’re on a tight budget you’re in luck, the Mattel View-Master VR is only $29.99. You will need to supply your own smartphone to make it work, however. Naturally, you’ve no doubt heard that Marvel is a Disney owned company now. What’s even more interesting is that Disney also owns the Star Wars brand, along with their creative releases like Frozen, or Inside Out. Now imagine kids of all ages playing with themed toys from all of these brands, seamlessly. We’re talking about kids dressed up as Iron Man fighting alongside Elsa from Frozen, or young Luke Skywalker fighting against Hulk during one of his fits of rage. 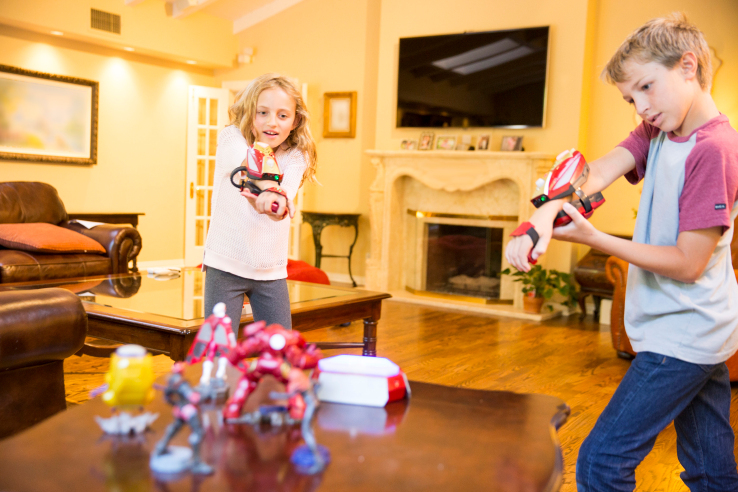 Disney Playmation is the wearable tech for kids – and adults – that will allow them to play out scenarios like this. A kit includes small action figures, a base station, and a set of wearable themed toys like Iron Man’s infamous Repulsor gloves. Each play kit will include a different experience, and different toys, of course. Frozen and Star Wars sets are coming soon. What’s most interesting about Playmation is that it includes a mobile app – for smartphones and tablets – that let kids act out their fantasy through themed mini-games. The Iron Man set, for example, allows kids to shoot Activator targets with their Repulsor gloves thanks to infrared and motion sensors. Any aspiring superhero or superheroine would love to get their hands on tech like this. Heck, there are probably a lot of adults out there that would too. The Playmation Marvel Avengers set is about $120 full price, but it’s been going for a lot cheaper since the holiday season. We’ve covered wearable tech for kids like the Gameband before at Smartwatches, but it’s too noteworthy to pass up here. It’s no secret that Minecraft has become a phenomenon for kids of all ages, and once you sit down and get a chance to play the game it makes a whole lot of sense why. You can build just about anything in the game world, and that’s just the beginning. 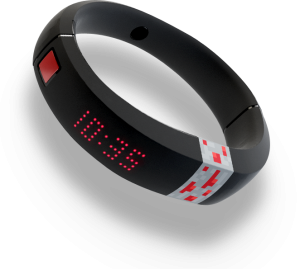 The Minecraft Gameband is an officially licensed wearable that includes 8GB of internal storage so that kids can bring along their worlds when they go to a friend’s house, or even just show it off for bragging rights. When you plug the Gameband into a computer via USB, the saved data is available for use in the game. Sadly, the Gameband isn’t compatible with consoles, just computers. The external design of the band is made to look like Redstone, one of the resources from the game (if you didn’t already know). 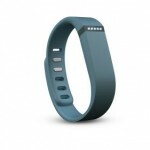 It also functions as a smart band thanks to the 140 LED display. Of course, the band itself DOES NOT include the full game. That’s important because you’ll need to buy the game alongside the band if your kids don’t already have a copy. The Minecraft Gameband is $49.99. If you haven’t seen The Force Awakens yet, you’re missing out! We’re sure you’ve at least seen the adverts that show off BB-8, however. BB is the new spherical droid featured in the movie that gives R2-D2 a run for his money. 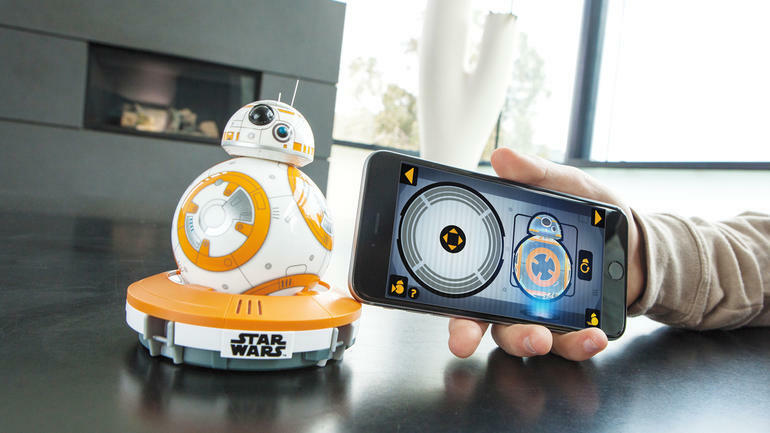 The makers of Sphero – an AR toy – have designed a new version modeled after BB-8. 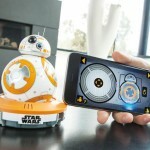 It’s a Bluetooth-enabled toy/pet/droid that can be controlled with a compatible smartphone or tablet. The droid can also beep on command, react and listen to voice commands – through the compatible app – and users can even record AR holographic messages similar to those seen in Star Wars (help me Obi-Wan Kenobi, you’re my only hope). There’s an optional Force Band accessory coming soon, that will allow BB-8 Sphero owners to control the droid with hand gestures. No, the Force Band is not on this list of wearable tech for kids, but you should still keep an eye out for it. The BB-8 Sphero is $149.99 while the companion app is free. You’ll need a smartphone or tablet of your own for kids to use with the device, though. 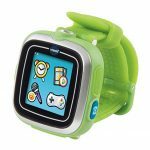 The VTECH Kidizoom was one of the first smartwatches for kids when the market started getting popular. The Kidizoom DX is an updated model that VTECH claims is “even smarter” than the original. Unlike more expensive smartwatches it’s not designed to connect to smartphones, so you don’t have to worry about your kids stealing your lifeline. This is wearable tech for kids built from the ground up for younger audiences. There are eight preloaded apps, and games, fitness and health activity challenges, digital pets, and more. 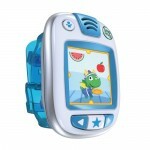 It also includes a pedometer to count the number of steps your child is taking on a daily basis. Other tools include a calculator, alarm, timer, stopwatch, calendar, and various math challenges. Out of the box kids will be able to choose between over fifty 3D digital and analog clock faces, with more available to download. Of course, there are more apps, games, and challenges to download too. An integrated camera allows munchkins to take silly photos of themselves and alter them with a variety of special effects, frames, and filters. 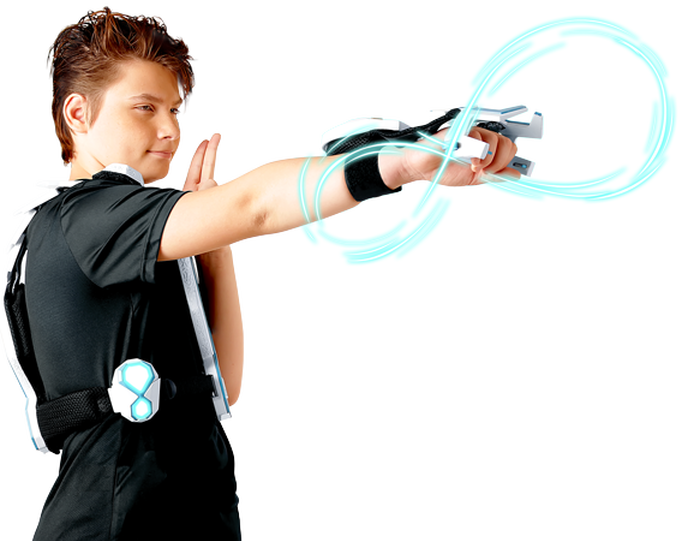 The Kidizoom DX is $64.99 and it comes in green, pink, or blue. Unlike Disney’s Playmation wearable tech for kids, the Moff Band encourages the true use of imagination. The band will play sound effects like guitar chords, ninja noises and more. It links up with a smartphone app to allow children to choose different games and sound styles. Then, all they need to do is put on the band and imagine. The band also doubles as a wireless controller with select games. For instance, there’s a Pac-Man game where the child can swing their arms and wrist to move the game character around the current level. The wearer sure looks a bit ridiculous while playing, but that’s the fun of it! 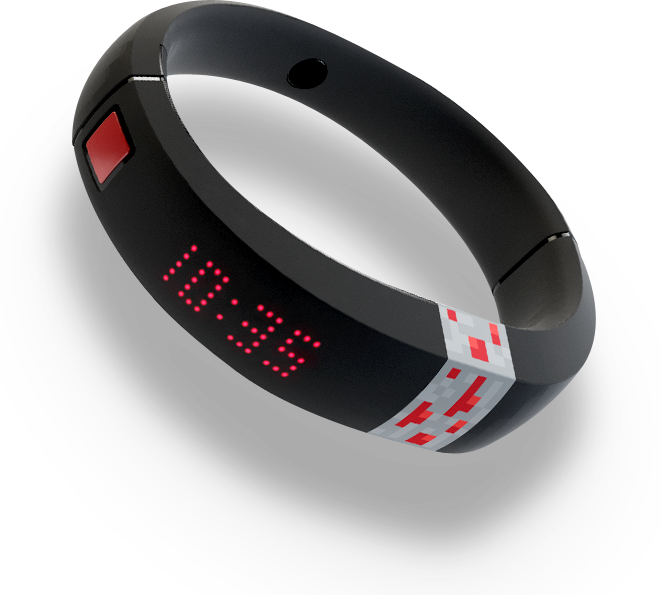 The Moff Band is $54.99 currently, and the companion app – as you’d expect – is free. Initially demoed at CES 2016, the SuperSuit falls in the spectrum of unique wearable tech for kids. The makers build it with one goal in mind: to get kids playing outdoors again and away from a TV, LCD, or smartphone display. It’s a vest and glove combo – a la old school laser tag kits – that allow kids to participate in a number of different games. Those include fan favorites like laser tag, hide and go seek, capture the flag, and more. Of course, the real allure of the SuperSuit is that it transforms the wearer into a superhero thanks to a wireless connection. They can control proprietary robots, remote control cars, and Sphero balls through simple hand gestures. They can also play a variety of solo-oriented mini games. The makers plan to release an open SDK for the wearable after launch, which will allow independent developers to expand the possibilities even more. In other words, devs will be able to create games, challenges and much more for the suit. Sadly, there’s no release date at this point other than a vague fall 2016 timeline. At this point, it’s possible the SuperSuit may never come to fruition, but we sure hope not!